Nicky Coutts' first solo show in the gallery will feature works developed during her residency at The Berwick Gymnasium in 2007. The work is essentially informed by these surroundings, past and present, real and fictional, where time and space are subtly manipulated. The artist's video projection, The Discovery of Slowness (An Attempt at Drowning and An Attempt at Disappearance) is inspired by reading The Discovery of Slowness by German writer Sten Nadolny, a fictional account, rooted in some facts, of the life of John Franklin who died trying to find the North West Passage through the Arctic ice. 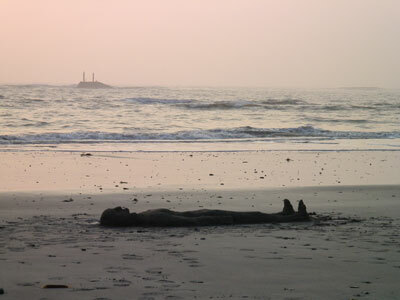 In the video, a man, made of sand, appears very slowly, as being born from the waves: an ambiguous apparition enhanced by the film being reserved so that what has been swept away is in fact returning. The Empire of Lights is named after René Magritte's series of paintings where night and day are combined in a single image. 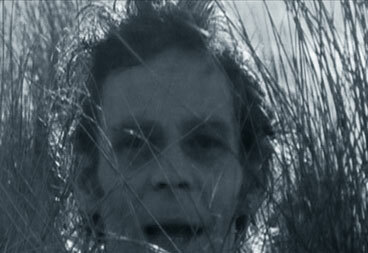 In this video Nicky Coutts merges dawn and dusk in moving image. The setting is Floors Castle in the Scottish Borders, which has 365 windows, one for every day of the year; two unseen participants turn on all the lights in the castle one by one as darkness falls while dawn improbably rises in the sky behind. The third video uses film footages to construct a sense of place: Keep is a film of Berwick and its surroundings made up of fragments of feature fims that have used the area as a setting. Excerpts from Jean Vadim's One More Kiss (1999), Roman Polanski's Cul-de-Sac (1966) and Ken Russell's The Devils (1970), amongst others, are edited together to recreate a loose narrative taking place in the same location. 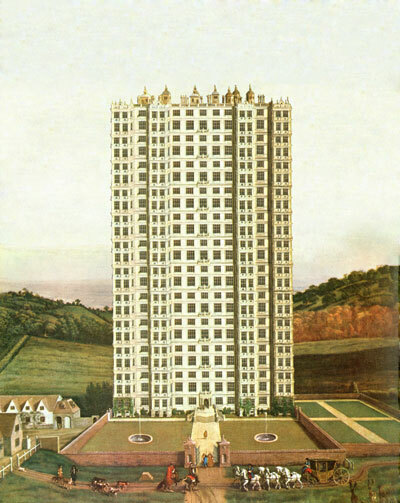 Included in the show is a series of new photographs, Estates, based on 17th century drawings and paintings of stately homes originally commissioned to show them to their most opulent advantage. Each original is manipulated to look like a tower by copying and repeating the floors and placing them one above the other. Nicky Coutts studied at Chelsea College of Arts and obtained a PhD from the Royal College of Art. Recently her work has been included in North and South at the Millais Gallery, Southampton and The National Glass Centre in Sunderland; Another Land, The Graves, Sheffield; The Art of White, The Lowry, Manchester; The Human Zoo, The Hatton Gallery, Newcastle; The Entangled Eye, Tokyo, Japan; Animality, Dunedin, New Zealand. She is currently Fine Art Fellow at Middlesex University and a Visiting Lecturer at the Royal College of Art. She has been selected to take part in the first biennial of contemporary art in a National Trust property, Tatton Park, near Manchester, to open in May 2008.